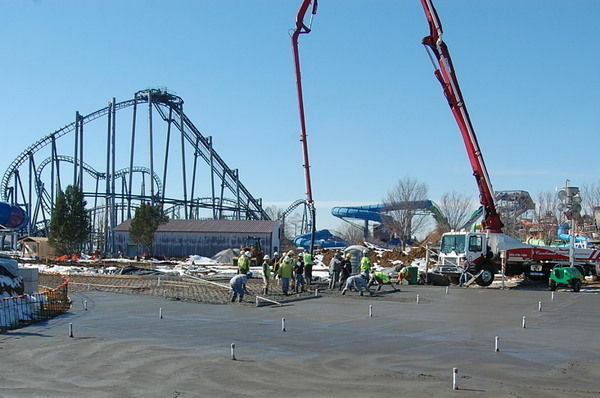 E-Z placed 640 cubic yards of concrete to create the nearly 30,000 square foot floor of the giant wave pool and lazy river lagoon bottoms of the Hurricane Bay Water Park at Kentucky Kingdom. 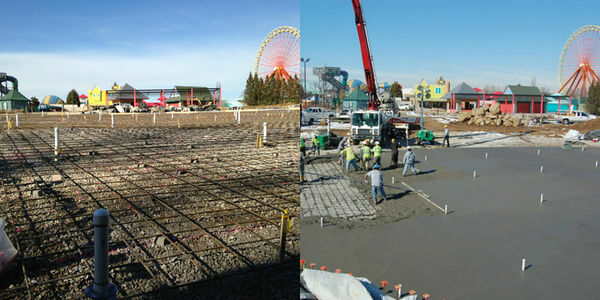 This project was on a strict deadline that required E-Z to work throughout the bitter cold January and February. 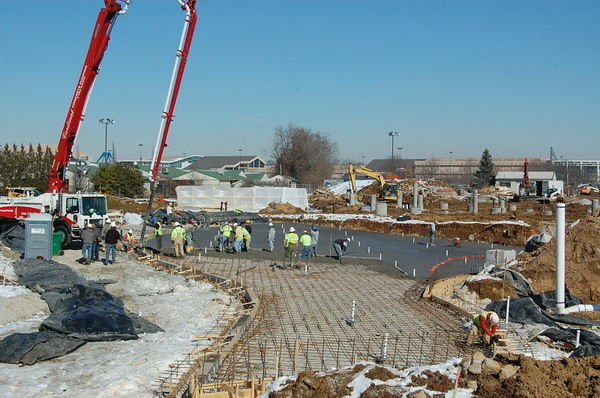 E-Z met every deadline presented and successfully poured the concrete foundations for the mechanical buildings and flow generating structures.